Teachers enjoy the holidays for multiple reasons: Two weeks off school, extra time with our family, a few extra moments to catch up on a good book or television show, and—of course—presents! 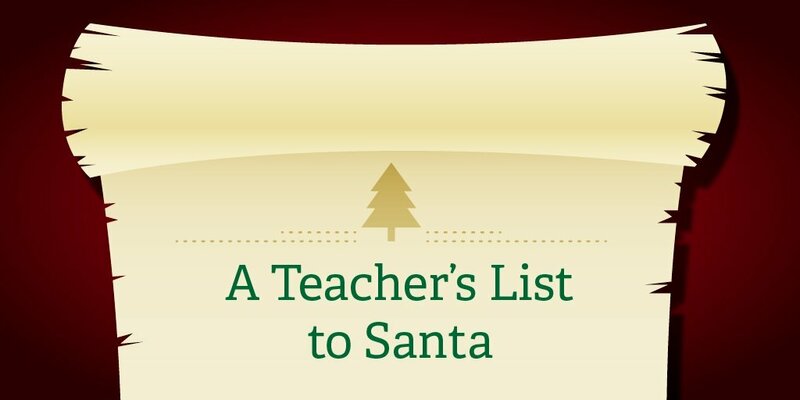 Even teachers make a list for Santa, and they are checking it twice hoping they get something nice. What’s on your list for Santa this year? Perhaps your list is full of things that others teachers also want most. 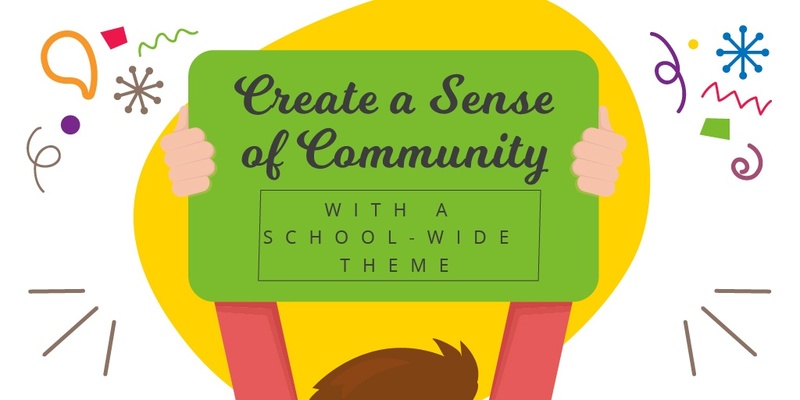 Each year, we plan a theme for our school. We use this theme throughout the year for many things around the building: bulletin boards, locker tags, the newsletter, and individual student displays in the classroom. Some teachers are “all in” with the theme and their classrooms are completely decked out, while other teachers don’t decorate as much. Our country has changed a lot in the past year. I think most educators didn’t expect the 2017 we now have. We didn’t expect the current education secretary that we have, the president we have, or even some of the other federal changes that we now have. Some of the immigration and refugee policies of 2017 have impacted our schools, along with a shift in direction from the federal government about transgender bathroom policies. As I conduct classroom walkthroughs with my fellow administrators, we often discuss the role of technology use in the classroom. One of the indicator areas on our form is “student technology use,” which we mark if students are using technology. The next indicator, “technology is used to enhance the lesson,” is a little more tricky. There are times when technology may be used, but we have to consider whether or not it is really enhancing anything about the lesson. In the current climate of education—at least in my state—accountability is at an all-time high while financial support is at a historic low. Every teacher I know is working with fewer resources and more challenges each year. What is a school to do? As a child, I was a good student. I paid attention in school, did my homework, and generally managed to get As in my classes. School was fun and mostly easy for me from kindergarten into college, and I could usually score an A without much effort. However, things changed during my junior year of college when I took a Spanish class that sent me reeling, testing me in ways my other courses had not. I couldn’t understand my fast-talking instructor, and when she handed out an article written in Spanish for us to review, I didn’t know most of the words. I was astounded that a class could be this difficult. The start of a school year is a great time to consider endless possibilities. So consider this: What if we educators approached our personal well-being the same way that we approach student improvement and intervention? What if we had the same passion about our personal health that we have about students’ learning? Consider the typical tools of motivation: honor roll, certificates of achievement, and recognition at school assemblies. These are the traditional tools used by teachers and schools to recognize and motivate students to achieve more, and students tend to love these awards. But for those who embrace the growth mindset (the core belief that abilities are malleable and not fixed), these awards don’t always make sense. Some students achieve good grades easily and make the honor roll all the time, while others feel challenged every step of the way and have to learn a great deal just to achieve a C. For the latter, these tools of recognition and motivation are out of reach. The truth is that underachieving students aren’t motivated by things that seem unreachable. None of us really is. The honor roll may not even seem like an option to them. If I were to offer you one million dollars to make a hole in one, could you do it? If you didn’t make it, would it be an issue of motivation or a lack of skill and capacity? If I increase the motivation to 10 million dollars, would that change the result? I’m a New Teacher…. Now What? Summer is coming to an end, and soon you will be walking into your first classroom. You are probably excited, nervous, and maybe a little naive about the year ahead. Try not to worry. I have been in your spot twice in my 21 years of teaching. The first time I was 23 years old, fresh out of college, and starting a job as a high school English teacher. That year was my hardest year of teaching thus far, but I also made great friends and great memories. My first year in the classroom taught me so much about the teaching profession, kids, and myself.